From these accidents, motorcycles are most at risk since motocycle-related accidents are at the top in number of deaths per vehicular accidents, this was based by from the World Health Organizations. But with these rising numbers, Topgear.ph stated that 1,319,084 motorcycles were sold in 2016. But alot of these were probably got for as low as Php. 2000, as stated by the motorbike enthusiast and President of the Philippines Rodrigo Duterte during his 24th Annual National Federation of Motorcycle Clubs of the Philippines Convention in Legaspi City, Albay. “The roads are not really safe. Maraming motorsiklo na mura and everybody could buy it. Walang mga lisensya yan at walang rehistro. Walang mga insurance. f you look at it very carefully, there is really anarchy in the streets,” Duterte stated. So Duterte solves this issue by education, making it mandatory for motorcycle owners to undergo proper training. Other than that, there is always a problem with fixers that offers to make life easy for a client by processing one’s license for the client. “Yung mga bata o tao na gustong magsali sa training, the only requirement is you are just a Filipino, period,”Duterte said. 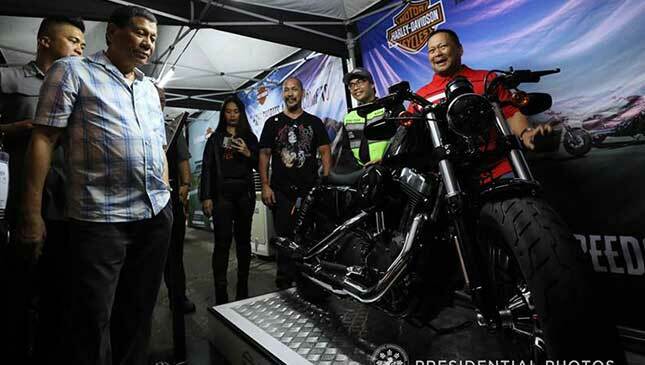 Proper education and training on motorcycle handling is incredibly important in the Philippines since there is a stigma that when one knows how to bicycle, then one knows how use a motorcycle. A mentality that Duterte wants to eliminate thoroughly for safety purposes of his fellow men. Despite having no updates on how the mandate would be continued, Duterte has mentioned that the Highway Patrol Group will be the one managing the applicants.